TEL AVIV (Sputnik) - Israeli Prime Minister Benjamin Netanyahu said at the government's session on Sunday that he had discussed the Syrian conflict and the issue of Iran with US President Donald Trump ahead of the US-Russian bilateral summit. 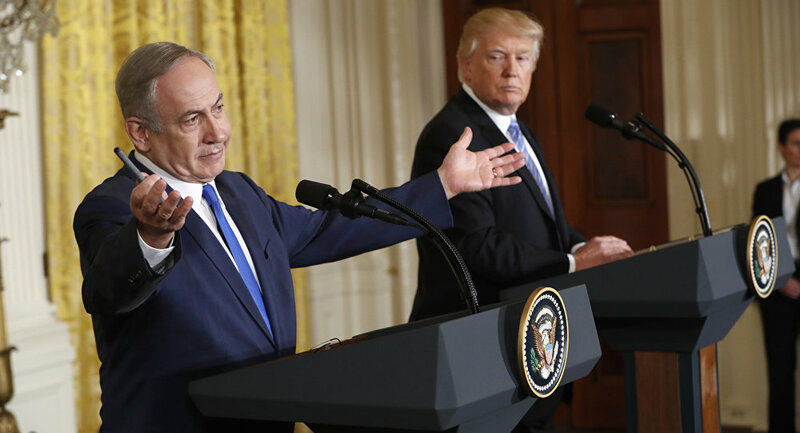 "Yesterday, I talked to US President Donald Trump and discussed with him the security and policy issues in light of the developments in the region, first of all, in Syria and Iran," Netanyahu said at the government's session. He confirmed that he had earlier discussed these topics at the meeting with the Russian leader Vladimir Putin, adding that they would also be touched upon during the Helsinki summit. Israel has long been seeking to persuade the international community to take a tougher stance with regard to Iran, in particular, to revise the nuclear deal with the Islamic Republic and to eliminate its military presence in neighboring Syria. Tehran, in turn, has repeatedly insisted that its presence in Syria is limited to military advisers, who help Damascus fight terrorism. Putin and Trump are expected to meet in the Finnish capital on Monday to discuss bilateral ties and various issues on the international agenda. The summit will be their first full-fledged meeting since Trump took office in January 2017.